The brief indicated that once you had selected three items of interest you were to observe, analyse and record the textile items through drawing and mark making. The archive room was lacking in space where I could really work to do this and anything other than a pencil wasn’t allowed into the room. I made most use of my time in the archive closely looking at the items, writing notes and taking photographs. I used these to generate a number of drawings. 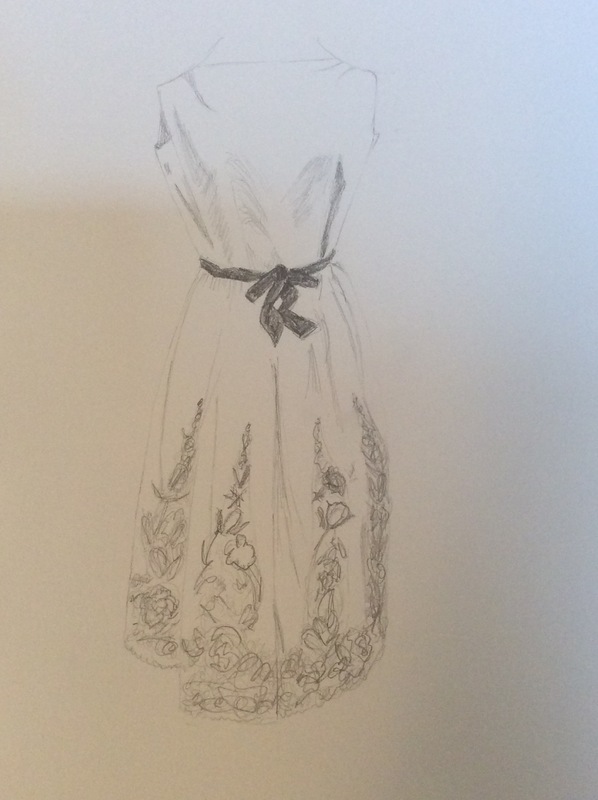 In this drawing of the dress I used pencil to give an overall impression of the shape, drape and decoration. 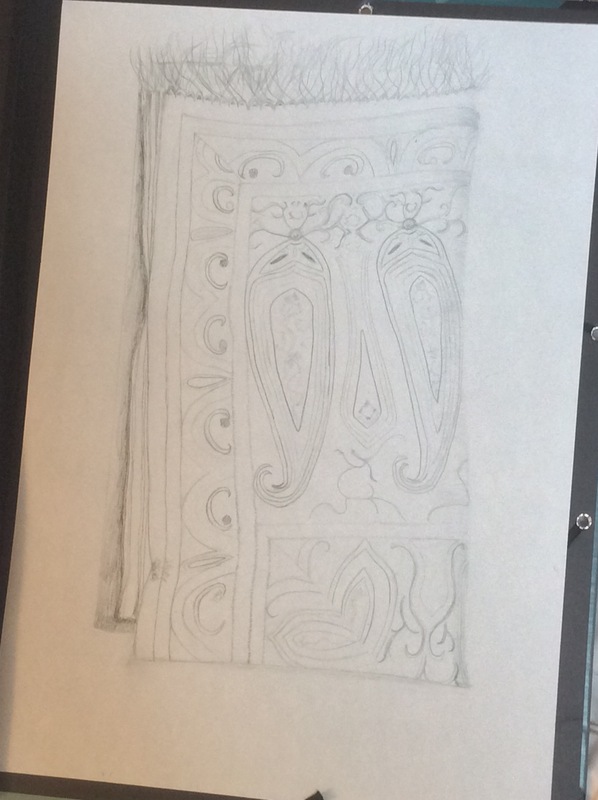 I used pencil to portray the general pattern of the folded shawl.